Cebu Pacific Promo Fares 2019 to 2020: Cebu Pacific Got A Challenge for all Student JUANS! 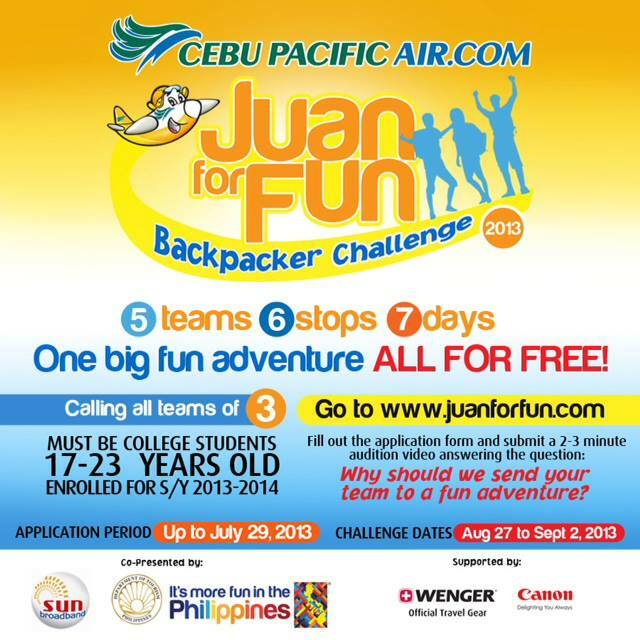 Cebu Pacific Got A Challenge for all Student JUANS! Cebu Pacific Promo: Calling all students! This is your time to join this challenge! Cebu Pacific’s Juan for Fun Backpacker Challenge is back—the fun backpacking adventure that will take you around the Philippines for free! Hurry, visit www.juanforfun.com for more details!